Remember these? 45 RPM record adapters which allowed us to play our 45s on our small spindled stereo record players when we didn't have the 45 adapter that came with the stereo. They came in all sorts of colors but all I have left are the black ones. 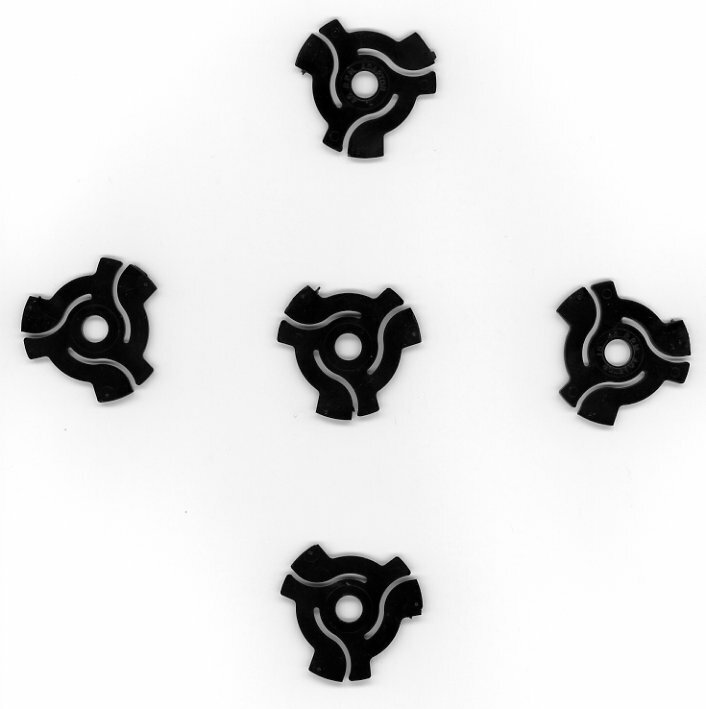 I've shown these to a number of younger people and most of them don't know what they are... even some 30 year olds. Where have all the flowers gone, eh?